Start at Vila Nova de Gaia with a visit to the lodges where Port wine is aged. Here you will get to know this wine a little better, taking the opportunity – how could you do otherwise? – to taste the precious nectar. 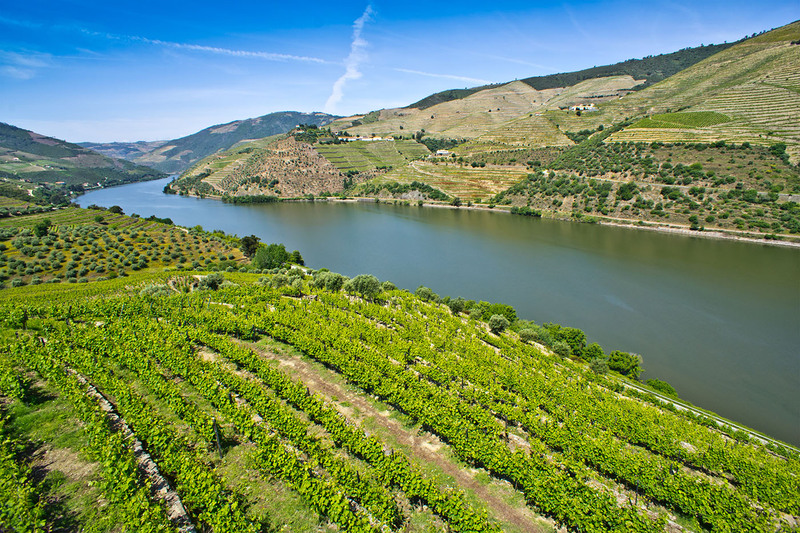 And you can still see the old rabelo boats on the river, the vessels that carried the wine from the quintas where it is produced to the mouth of river, before the various dams that made the river navigable were built. In Peso da Régua, the Douro Museum will provide a different perspective on the region and wine growing. Not far away, on the south bank, is Lamego, one of the most beautiful cities in Northern Portugal, located at the base of an immense blue and white tiled flight of steps leading to the Shrine of Nossa Senhora dos Remédios. In Pinhão, right by the river, the railway station is a must-see to admire its ancient tiles dedicated to the cultivation of vines. Before arriving in Pocinho, you can make a detour on the south bank to visit the castle of Numão and enjoy the view over the skyline. A little further to the east is the Vale do Coa Archaeological Park, an open-air rock art gallery, classified as a World Heritage Site, and the attached Museum in Vila Nova de Foz Coa. 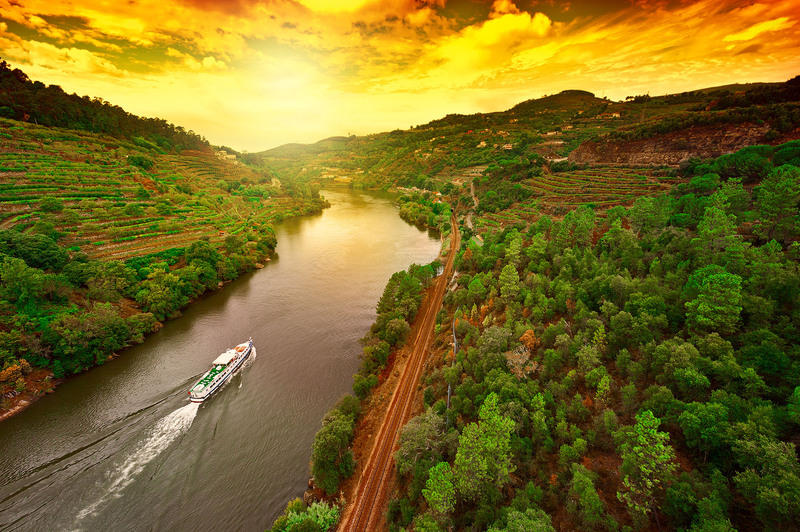 Once you get to Barca de Alva, you enter the International Douro Natural Park, as the river from here to Miranda do Douro makes the border between Portugal and Spain. At this point, the course of the river narrows, running between tall escarpments until it reaches the small border town on entering Portugal.